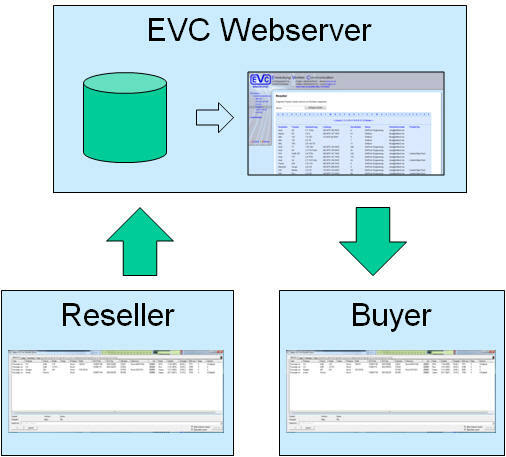 With help of the Reseller function EVC wants to provide a platform to exchange WinOLS project files between sellers and buyers. Resellers are WinOLS users who sell OLS projects to other customers. These OLS projects can contain beside an original file one or more tuning files or map informations. In every project the reseller can adjust, what is allowed to do with it (rights). Beside "all is allowed" it is possible to disable the export of binary files or map informations. The payment will be done by "credits". For every Reseller/Buyer relationship there is an own credit account. The price of a credit will be negotiated between reseller and buyer. Every buyer must contact one or more resellers and send them a certain amount of money. The reseller will add him to his buyers list and add the amount to his account. The buyer can now download projects until his account is empty. How do I become buyer? Look at Projects to get a list of all resellers and their projects. To buy a project, please contact the respective reseller. The price per credit and the payment terms are negotiated directly with the reseller. The reseller will enter your purchased credits into the website. After that simply use the WinOLS update function. 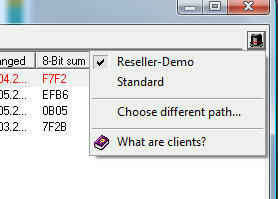 Now you can select the reseller in the open-project-dialog with the client-icon ("hat" symbol). There's an entry for each reseller. After selecting the reseller client, you will see all available projects. To buy a project, simply select it from the WinOLS project list and click on OK. After a confirmation the credits are deducted from your account, the project is downloaded, stored into your projects folder and opened. Depending on the reseller's rights settings, you can view the project or maps or export data. Resellers need a WinOLS license and of course projects. To get reseller status, please contact us. Reseller: Will my files be encrypted? Activate the 'Advanced Security Server' under F12> Reseller>Server. Then your data will be uploaded to a special security server and automatically encrypted. EVC is the operator of the platform and not responsible for the contents of the projects or copyrights. The credit as virtual currency simplifies the billing between the reseller and buyer. Furthermore a reseller can give different prices for a credit to different customers. The payment is done directly from the buyer to the reseller. So EVC will be released from the payments and keeps only the accounts. Why is that possible only under WinOLS ? by using the OLSx project files all relevant information can be transported in a file and integrety of the data can be made sure. Furthermore it's possible to ensure the use as demo or ready tuning with the rights settings. Why does EVC do that? To connect sellers and buyers and of couse to distribute WinOLS as a tuning system.